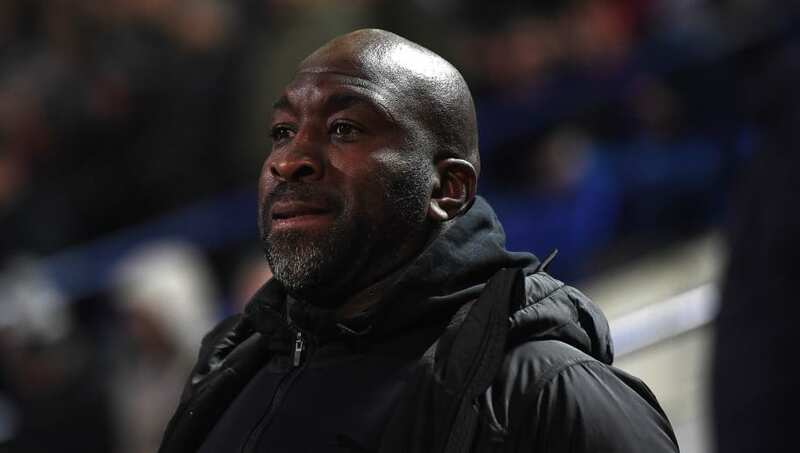 West Brom have sacked their head coach Darren Moore after their 1-1 draw against the Championship's bottom side Ipswich Town at the Hawthorns. The draw follows an embarrassing 4-0 defeat to Leeds just six days prior and means the Baggies have not won any of their last three Championship games, leaving them sat in fourth place in the table. Moore took over the reigns at the club on a temporary basis in April 2018 after Alan Pardew was sacked. The caretaker boss inspired a remarkable run of form for ​West Brom as they went the entire month of April undefeated - which included a 1-0 win over Manchester United at Old Trafford - and subsequently Moore won the manager of the month award. Unfortunately he wasn't able to keep West Brom in the ​Premier League, but he was given the job on a permanent basis ahead of the club's first season back in the second tier of English football. He now departs West Brom who are nine points away from the automatic promotion places, and club Chief Executive Mark Jenkins released a statement, via the club's ​official website, regarding the matter which read: “This has been an enormously difficult decision for a Club which will always hold Darren in such high regard. “He took over at a very difficult time last season and reunited the Club, a contribution that will never be forgotten. But we have made it clear from the outset that everything this season was geared to making as swift a return to the Premier League as possible. “Unfortunately Darren has not been able to engineer the consistency of form and results to convince the board that this objective would be met. After discussions with our owners, the difficult decision to make a change was taken. Darren’s dedication over the last 12 months is not underestimated and there will always be a welcome for him at The Hawthorns. West Brom's first team coach James Shan has been put in temporary charge as the club goes in search of a new head coach, looking to appoint a candidate as soon as possible.